SUMMARY of TD11: Restorying is based on Narrative Therapy work by White & Epston and is being applied to organizations by Barry, and by Rosile. It is related to Storytelling Organizations work by Boje; Kaye; Boyce, and to restorying work in interorganizational consultation. For a brief overview of the similarities and differences of Appreciative Inquiry, Restorying, Emery-Search Conference, and Hopewell's Congregation approaches to storytelling by Boje, Alvarez and Schooling (press here). Here is the basic difference between the TD Gameboard, Appreciative Inquiry and Restorying Methods. We also make a number of connections between the Restorying and other TD Gameboard methods. We live in a web of stories, with organizations and their members and stakeholders connected by silver filaments relating plot and context. Restorying is based in postmodern theory and in deconstruction (post-structuralism). The assumption is that networks of organizations and people are mired in saturated, and quite messy problems, with a history of unresolved conflict, and power/ knowledge relationships that results in some players having more voice and power than other more marginal players. There is also an assumption that people have more than one storyline, and more than one self. The idea of multiple selves, deconstruction, and postmodern fragmented selves is opposed by quite a number of psychologists, such as Glass(1993). My counter to this claim, is that Glass (1993) limits definitions of postmodern to Lyotard, Baudrillard, and Derrida; these are not the only postmodern theorists; the view on Derrida does not include a focus on resituation (in Storytelling Gameboard). Resituation is a move often ignored by critics of postmodern. The idea of resituation is to deconstruct the forces that bind the system of oppression in place, and move to a new or resituated set of influences. We begin with our main contrast; Appreciative Inquiry (AI) is against deconstruction. The rationale is that in many problem settings, AI advocates believe that it is not necessary to dredge up the past or to do a critical assessment of the problems. Rather, the focus of AI is on the future, and getting people past their problems and into a climate of finding common ground, so that a network of collaborative interactions can be developed. Restorying also is focused on building a new story, but uses deconstruction in order to break the grip of the dominant story that mires the people in a network in their current situation. Both approaches help network participants come together to fashion a new story. In restorying the focus is on finding examples of network actor tactics for resisting the dominant story, or what is called the "saturated problem." The consultant's role is to help the client network confront the influences of the dominant story and see be able to articulate the ways people are recruited into that story line. Restorying assumes that the new stories constructed by network participants are very vulnerable to counter-attack by the old notions and by outside influences that want to keep the status quo in place (even when unhealthy). Another difference between AI and Restorying, is that restorying includes a methodology to validate the new story so that it does not relapse into the grip of the old story. A thrid difference is that in Restorying, the people are not the problem, the problem is the problem. The focus of Restorying is to find the pattern of relationships and scripts in the network that are the problem, rather than find some individual or focal organization that is the problem. This would mean working to deconstruct the forces that keep the old story in play, but at the same time resituate those forces by finding ways to validate attempts by the network players to institute the new story and resist the influences of the old story. What is the composition of the story (What must be added, left out or rewritten to make this story a new story?). What is the dialog? (scripts). Who is the author of the dominant story? (there can be many). How does the plot (emplotment) unfold over time? Whose voices are marginal and dominant in the story? Both AI and Restorying take a de-opponent stance, that is they try to avoid turning the situation into an us versus them mentality (i.e. dualizing network actors into good guys and bad guys). Note this is quite different from the TD strategy of Community Development Network Development, where in the early phase, activists organize participants in ways that set up the bad guys for provocative action, hoping the situation will shake up and negotiations will result. Restorying goes beyond AI and Community Development work by de-essentializing (a postmodern move). The idea is to avoid types of analyses that reduce problems to component parts. Rather, the idea is to expand the program in ways consistent with the Emery TD approach, such as environmental scanning, so that people avoid reductionist thinking. This mean the role of the consultant is to refocus attention on expansion, not reduction to a hunt for essences. As with the Emery approach, the focus is on the network participants being the experts in their own storytelling, in the authoring of a new story, and in doing the restorying work. As with Emery, there is a good deal of attention spent on building an informal network of support that reinforces the new behaviors and the new story. In Restorying, this is done by having network actors present their new story to an audience that can reinforce their new script and new voices. This has some kinship to Theatrics and the TD work of Augusto Boal. Another way restorying uses is having clients write letters to their consultants and to one another. The reason for having members of the network write letters is the assumptions that it is the entire system of relationships that reinforces what the TD approach of SEAM. calls the metascript. Yet, different from Emery, the approach looks at ways to move beyond symptoms of the problems such as (fight/flight, dependencency) and get at issues such as perfectionism and systemic issues, such as we find in the TD approach of SEAM. The consult role is to encourage the network stakeholders to engage in a process of story re-vision (Parry & Doan, 1994; Rosile, 1998 a, b, c; White & Epston, 1990; Zimmerman & Dickerson, 1996). References. Good Resource -- Narrative Therapy Page in Storytelling Organization Game (press here). Fast Company article Every Leader Tells a Story by Elizabeth Weil June 1998. - Consultants such as Noel Tichey are teaching companies to combine storytelling with their leader training. Rosile, G. A. (1998b) Presentation paper on Sci Fi with roles/frames (press here). This paper gives some of the various frames and storied roles. "Restorying for Strategic Organizational Planning and Development: The Case of the Sci Fi Organization." IABD Presentation (1998c) (press here). Note: Has restorying model steps and example. Published in proceedings. "Restorying for Personal and Organizational Change." with Robert Dennehy, Pace University. SouthWest Academy of Management Meetings - 1998 (press here). This paper has a brief exercise that can be used in workshops. GEORGE ROTH ON STORYTELLING - Relevant to the connection of narrative and stakeholder/systems work is "Learning History" work. (press here) for George Roth's work at Sloan. Roth uses story and metaphor analysis to look at Deetz's "social memory." "As learning histories are studied for their abilities to promote learning in and across various organizations," the Learning History approach has notable Transorg (TD) implications. (press here) for "The Learning Initiative at the AutoCo Delta Assembly Plant" Chapter 1 by Ann R. Thomas. It is the story of a "Company Learning Consultant" working with a quality operations committee. World Bank Participation Source Book - Participatory Stakeholder Examples (press here). Not sure is this is TD1 or TD2. See also Argyris, C. & Schon, D. A. (1996) Organizational Learning 11, Reading, MA. : Addison Wesley. "A Different View of Organizational Learning" by Sue Gilly February 21, 1997 (press here) Very much a paradigm shift and a variety of perspectives in this paper including Medicine Wheel. TRANSORG RESEARCH WORK - "Learning with The Natural Step: A Jointly Told Tale of the Early Stages, 1988-1994." by Hilary Bradbury March 1998 (press here). This is "the story of the Swedish organization Det naturliga steget /The Natural Step. The Natural Step, or "TNS", was founded in 1989 as an educational foundation to promote sustainability in society." It is transorganizational in that "Natural Step is described by Robert as "a federation or network of autonomous associations, in which projects are undertaken to support sustainability. The network's main goal, however, is for all the members to agree on and support the concept of sustainability-to hold the same understanding in their minds about what sustainability is (Rob�rt, 1997.)" The network collects about a charismatic leader and uses consensus as its learning approach. Bradbury's work applies the learning organization theory of Chris Argyris, among others. "Learning histories can be to [social] science what a microscope is to the physical sciences." - Chris Argyris. Critique - Good use of story analysis to do an historical study of a learning network of organizations. Nike. In Australia this involves home manufacturing while in Asia it can and does mean highly militaristic, even lower wage and higher overtime sweatshops." The storying and restorying here is how the NGOs and activists deconstruct and reconstruct the stories of Nike. And how Nike restories itself Just In Time to postpone change. For Classroom Exercise on this point see Nike JUST IN TIME Gameboard. The point is to show how no matter what the allegation, Nike restories it. In the end Tamara is all there is. TD Gameboard Contrasts: For a comparison of four interdisciplinary approaches to narrative and organization including Narrating Organization, Stortelling Organization Theory, Equivalency Theory, and Embedded Narrative approaches (press here). Three are discussed below. For an overview table of the many disciplines that are being applied (press here). Dramaturgy - Barbara Czarniawska�s (1997) work on narrating organization applies different narratologies to Swedish public administration. She seeks to explain organization narration from a dramaturgical and pragmatist perspective. Czarniawska applies a pragmatist/social construction perspective mixed with Burke's dramaturgy (see Postmodern Theatrics) for a rendering of this typology. Barbara's work has applications to transorganization. Her study situates organizational action within a dramatic context and in the political economy of Sweden. 2. Storytelling Organization Theory- My own work is an interdisciplinary mix of folklore, social construction, poststructuralist, and postmodern narratology (Boje, 1991a, 1995a). I conceptualized the firm as a "storytelling organization," a theory of organizations in which stories are the medium of interpretative exchange (Boje, 1991a; 100; 1991b). Storytelling organization theory been researched and otherwise adapted by Gephart (1991), Boyce (1995), Kaye (1996) and Boje et al (1999). In the office supply study (Boje, 1991a; 1991b), I kept a tape recorder running to study in situ collective story performance. Storytelling Organization Game - Has extensive list of reviews, definitions (press here). The transorganizational challenge is to look at storytelling organizations in interorganizational contexts. See Tamara Storytelling Organization analysis of Disneyland. Embeddedness - Robin Patric Clair�s (1993, 1994, 1996, 1997) work is different from both of us. For me, Clair�s work (especially, 1997) resituates the personal narrative embedded in her ancestral narrative and these embedded in a political economy analysis. (See Reference List at the end). Robin's work is already transorganizational embedding peronal experience narrative in ancesrial, organizational and societal storytelling. Stories have a time. "You tell story at a certain time of the year, a season, or time of the day. There are Fall and Spring stories." Stories have a place. "You recount stories at this place and places have their own story. Every university has a place that has its story." Stories have a mind. "Every creation, even a story, has a life of its own. We create a story and it has a life. The stories have origins. You must tell a story with permission." Kaylynn's work is important to TD for many reasons. One is that it reminds us that stories live and they have consequences and rights of their own. Certain stories are sacred and have ownership rights and telling rights about when and where they can be told. 6. David Barry and Michael Elmes (1997) Their work takes storytelling into the jaws of strategic planning work. David Barry has done several pieces applying restorying to organization settings. The work has obvious transorganizational implications. There abstract reads "Using narrative theory, this paper explores strategic management as a form of fiction. After introducing several key narrative concepts, it discusses the challenges strategists have faced in making strategic discourse both credible and novel and considers how strategic narratives may change within the �virtual� organization of the future. A number of narratively oriented research questions and methodological suggestions are provided." (press here) for complete pre-publication article. The TD implication of strategic discourse is that storytelling matters in and among organizations. Management With Horse Sense - Book Excerpts By Grace Ann Rosile - This is a more advanced treatment of deconstruction that has not as yet been applied to TD. "Management: Common Sense or Horse Sense?" March 1999 (press here). "Discourse from the Horse's Mouth"by Grace Ann Rosile, copyright 1999. Transcript of Presentation at the Language and Organizational Change Conference May 15, 1999, Ohio State University, Columbus, Ohio (press here). The TD applications of Rosile's work are being worked out in her writing. Stay tuned. 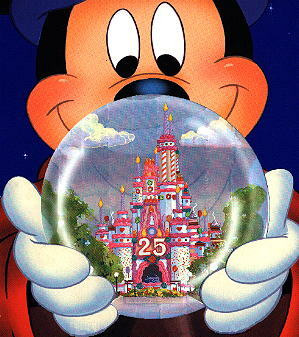 Notes on the Strategic Stories fad: Disney and other storytellers June 29, 1999 (press here). 1997 �Telling changes: From narrative family therapy to organizational change and development.� Journal of Organizational Change Management. 10(1): 30-46. Barry, David & Michael Elmes 1997 "Strategy retold: Toward a narrative view of strategic discourse." Academy of Management Review, 22(2) 429-452. (press here) for on line copy. David does consulting to organizations using a narrative therapy approach. 1989 �Bringing performance back in,� Journal of Change Management. 2 (2). 81-93. 1991a �Organizations as Storytelling Networks: A study of story performance in an office-supply firm,� Administrative Science Quarterly, 36, 106-126. This is a research piece on storytelling organizations. 1991b �Consulting and change in the storytelling organization.� Journal of Organizational Change Management, 4 (3), 7-17. Same piece different texts. 1995 �Stories of the storytelling organization: A postmodern analysis of Disney as �Tamara-land.� Academy of Management Journal. 38 (4), 997-1035. This is a postmodern storytelling organization analysis of Disney. The Disney (1995) used deconstruction and postmodern theory to demythologize the official founding stories of Walt and the Magic Kingdom by juxtaposing counter-narratives. For example, placing Disney�s official story in juxtaposition to marginal or excluded stories of strikes, reprimands, and Tayloristic practices. The supplement narratives were not added to some "pure" original or founding narrative the counter-narratives occurred along side the official story. The idea of an originary-founding story is a delusion of a realism narratology. The founding story bears the traces of past and future discourse contexts. David M. Boje, Rossana C. Alvarez and Bruce Schooling 1999 "Reclaiming Story in Organization Narratologies and Action Sciences" Chapter Six in Westwood & Linstead's Language and Organization Book, draft dated September 29. Three excerpts are available: (press here) for table of various disciplines of narrative. (press here)) for contrast oflsingle-discipline approaches of Appreciative Inquiry, Restorying, Emery Search Conference, and Hopewell's Congretation. And (press here) for contrasts of several interdisciplinary approaches including Narrating Organization, Storytelling Organization, and Embedded Narrative discussed in this tutorial. .
Mary Boyce (1995) "Organizational Storytelling: A Critical Review" - from a social construction perspective . (press here). This is based on her Organization Studies piece and is also a study of a Storytelling Organization. 1993 �The use of framing devices to sequester organizational narratives: Hegemony and harassment.� Communicatioin Monographs, 60: 113-136. 1994 �Resistance and oppression as a self-contained opposite: An organiztional communication analysis of one man�s story of sexual harassment.� Western Journal of communication, 58: 235-262. 1996 �Discourse and disenfranchisement: Targets, victims, and survivors of sexual harassment.� In E. Berlin Ray (Ed. ), communication and the disenfranchised: Social health issues and implications. (pp. 313-327). Hillsdale, NJ: Lawrence Erlbaum. 1997 �Organizing silence: Silence as voice and voice as silence in the narrative exploration of the treaty of New Echota.� Western Journal of Communication. 61(3): 315-337. 1996 Myth-makers and story-tellers. Sydney, NSF, Australia: Business & Professional Publishing Pty Ltd. Kaye, Ann Gilpin and associates do Storytelling Organization consulting in Australia. Michael recently passed away. Lieber, Ronald B. (with associate Joyce Davis) 1997 "Storytelling: A new way to get close to your customer." Fortune Text Edition. (February 3rd). (press here). 1996 �Lines of authority: Readings of foundational texts on the profession of management.� Journal of management History, 2(3): 26-49. 1998a �Integrating Follett: History, philosophy, and management.� Journal of Management History, in press. 1998b �The politics of management thought: A case study of Harvard Business School and the Human Relations School.� Manuscript in review. 1998c �Minding the workers: The meaning of �human� and �human relations� in Elton Mayo.� Manuscript in review. 1998 e "Pluralism in the field: Narrative Studies as an Interdisciplinary Inquiry." (press here). Storytelling Organization Game - Has extensive list of reviews, definitions, references and more links on the topic of storytelling organizations and narrative therapy work (press here). How do Antenarratives take flight? There is a good intro study guide. Flight of Antenarrative. The following papers extend the concept. Boje, D. M. (2001g). Flight of Antenarrative in Phenomenal Complexity Theory, Tamara, Storytelling Organization Theory. Boje, D. M. (2001h). Before the Story Can be Told: An Antenarrative of the World Trade Center and Pentagon Disaster; also see Hybridity Visuals Presentation in Netherlands. How does ANTENARRATIVE relate to FRAMES? Antenarrative is a building block to Narrative Frames? (Review Frames definitions). What are Narrative Frames (Ante is a building block rhizome to four organizing frames: SEE interactive VISUAL Display Hybridity Visuals Presentation in Netherlands. Boje, D. M. (2002b) Enron Metatheatre: A Critical Dramaturgy Analysis of Enron�s Quasi-Objects. Paper presented at the Networks, Quasi-Objects, and Identity: Reintegrating Humans, Technology, and Nature session of Denver Academy of Management Meetings. Tuesday August 13, 2002. Enron is a network of rhizomes, what I call antenarrative trajectories. Through antenarrating, bits and pieces of real events were inserted in the Enron executive's dialogs, along with Star Wars and Jurassic metaphors, and blanket assurances of increasing profitability. The antenarratives flirted between fiction and reality in ways that seduced spectators and stakeholders into willingly suspending disbelief. Through antenarrative trajectory dynamics, the ground moved, and cracks began appearing in the Enron facade. There came a time, when stakeholders, one by one, no longer were willing to suspend disbelief, and began to see cracks in Enron's financial reality. Figure 1 presents eight antenarrative trajectories. The trajectories are each antenarrative ensembles, pre-narrative strands, and the ensembles are intertextual to one another. The antenarrative trajectories can be thought of as strands that take rhizomatic paths. A rhizome (Deleuze & Guattari, 1987, p. 6- 7) is defined as a network of subterranean trajectories (with root stem strands, radicles, bulbs and tubers). The alleged fraud at Enron, its 3,500 off-the-balance-sheet partnership is an example of rhizomatic network The raptor partnerships burrowed beneath the surface images of Enron from 1991 (with Cactus) on through 1997 (with Chewco, LJM1, LJM2) and deeper still with the secretive Southampton Place and RADR partnerships. Glass, James M. (1993). Shattered Selves: Multiple Personality in a Postmodern World. Ithaca/London: Cornell University Press. Parry, Alan & Robert E. Doan (1994). Story Re-Visions: narrative Therapy in the Postmodern World. NY/London: The Guilford Press. White, Michael, & David Epston (1990). Narrative means to therapeutic ends. New York: W. W. Norton & Company. Zimmerman, Jeffrey L. & Victoria c. Dickerson with afterword by Karl Tomm. (1996). If Problems Talked: narrative Therapy in Action. NY/London: The Guilford Press.